We’re closer to the day when the Alaskan Way viaduct may be demolished. Yesterday, the state House approved a plan to replace it with a tunnel under First Avenue. As a person who lives here, I can’t wait for that day. A redevelopment of the waterfront is much needed. 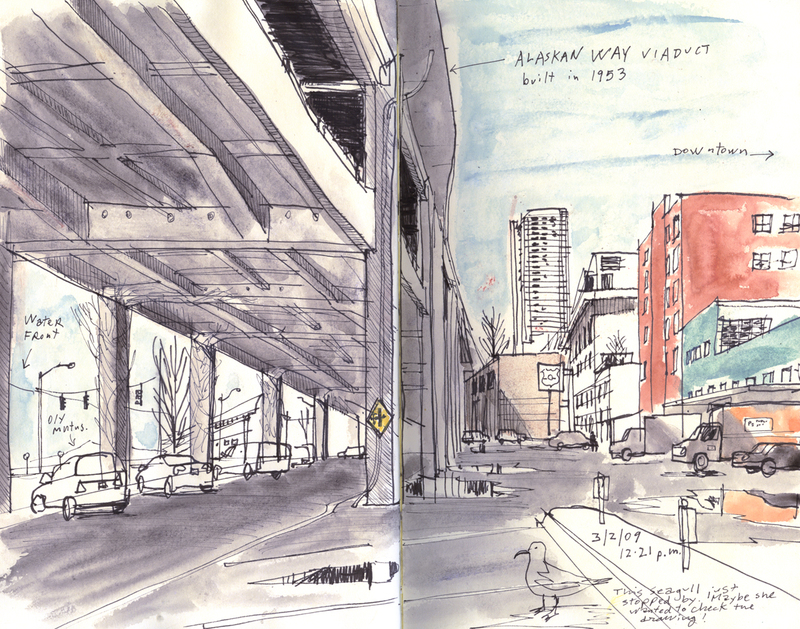 As a sketcher, I’ll miss the interesting views the aging elevated freeway creates. They seem very fitting of a comic book set in a decadent futuristic metropolis.